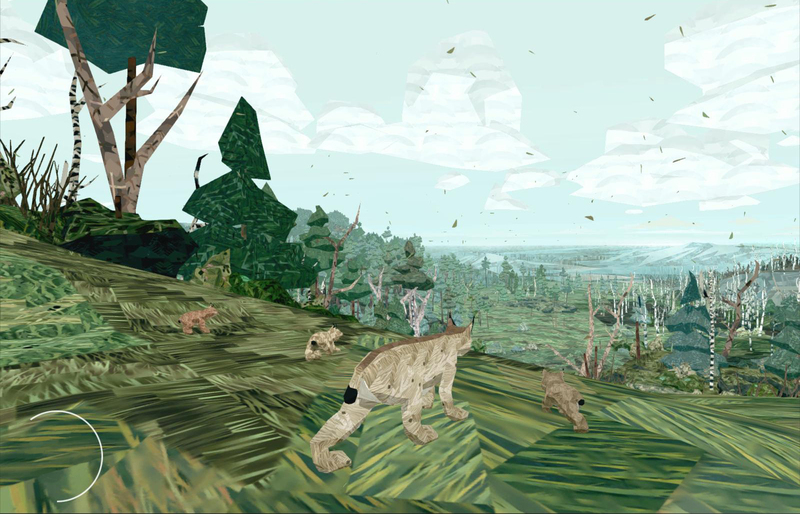 Shelter 2, a game developed by Might and Delight for the PC, Mac and Linux, is pretty straightforward. You are a mother Lynx who has just given birth to a pack of adorable cubs, who you are tasked with raising to adulthood. Or leave them to die if you’re a heartless jerk. The game doesn’t explain itself, or give you any real direction, it’s instinctual. The game shows you how to smell for food, which you can pick up and take to your cubs. You are shown a collectables screen, so you know that these exist, giving you a possible objective to follow or ignore. The main issue comes from a lack of food as the cubs grow, forcing you to migrate into the wider world in search of larger prey, and potentially predators too. The interesting thing is that when you start a new game it is through one of surviving cubs, leading to a growing family tree of your creation, keeping track of who died and who went on to create their own family line. The game controls well; sneaking and attacking small animals is automatic, while other actions like pouncing and shaking trees are shown in tutorial messages. It tells you what it needs to as you come across it naturally, helping the game flow very naturally. The only thing left to talk about is the aesthetics of the game. It has a very cool art style that almost looks like a patchwork, with a lot of subtle colours that really sell the mood of the game. The changing seasons is given a very cool affect, with the leaves turning orange and eventually snow forming across the ground before you, including freezing over water. The music also helps sell the tone, giving the entire experience a calm and relaxed feeling. Plus if you’re into this sort of thing, the soundtrack is available through the steam store. Definitely worth looking into if you want something to fall asleep or just relax to. You really need to look beyond the game as a whole and immerse yourself in the experience. It also won’t give you the same kind of free roaming, do what ever you want style present in GTA Online or Goat Simulator. Its objectives are self-imposed, but straightforward. It’s challenging to keep all your cubs alive, and at the same time it’s a relaxing experience. The story is fairly short, with a litter able to reach adulthood in about an hour or so. However I find it hard to fault the game on this, since it’s an hour full of content and considering its low price point, £10.99 on Steam. I highly recommend it for fans of artsy games and I don’t mean that in the sense of a black and white game with a story that is “deep”, instead I’m referring to a game that is downright gorgeous at times and creates emotional attachment through it’s gameplay. If you like cats, that’s also a reason to play this game. Kitties dude! KITTIES!!! 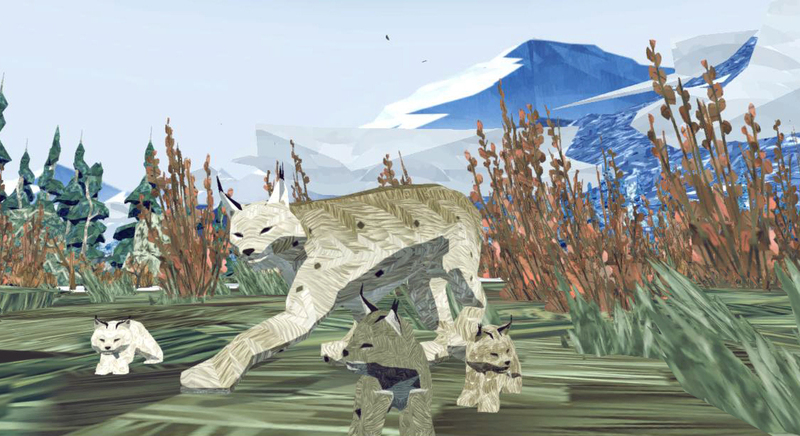 This entry was posted in Uncategorized and tagged Indie, Might and Delight, PC, Shelter, Steam. Bookmark the permalink.